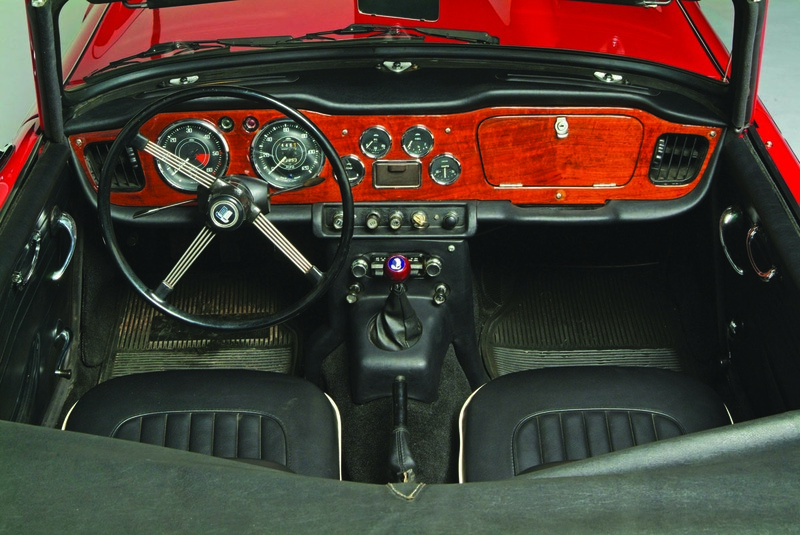 Building off of the TR3’s success, Triumph unveiled the sleek new TR4 in 1961. It’s a very logical British step forward in the evolution of these fine sports cars, and the TR4 combined a low cost of entry with capable performance to become one of Triumph’s best-loved open cars. Stylistically, the TR4 was quite a departure from the TR3. Gone were the low-cut doors and somewhat polarizing grille of its predecessor, and in their place was a more modern design courtesy of Giovanni Michelotti. A spacious trunk, high beltline, full-sized doors with roll-up windows, and a revised front look brought the TR Series into a new era. 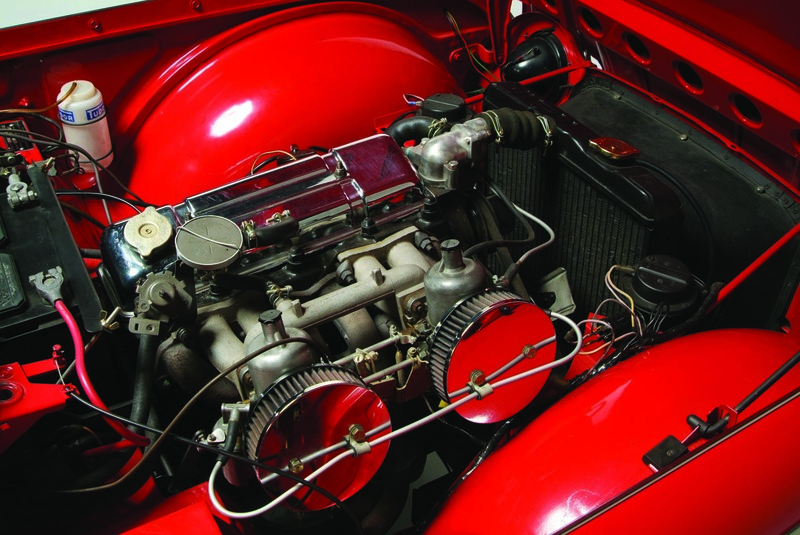 Mechanically, the car possessed the same 105-hp, 2138 cc, inline four-cylinder engine that was offered during the TR3’s later iterations, though buyers who were looking race their Triumph in two-liter classes could opt for the previous 1991 cc mill. The TR4’s chassis was similar to its predecessor, though the track was wider and steering was improved with a rack and pinion set-up. 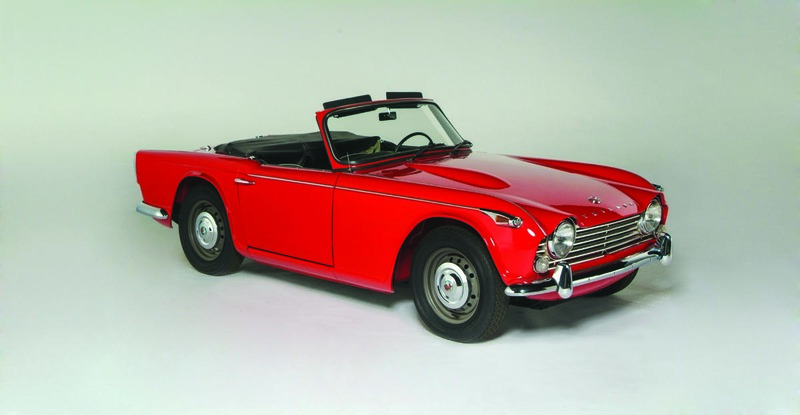 By 1965, Triumph released the TR4A (which was never referred to as such by the company itself), with a completely new independent rear suspension, and the TR4’s ride was never better. In all, just over 40,000 TR4s left the Coventry factory. And like most British roadsters of the era, the lion’s share landed in the U.S. Their relative affordability, good handling, and brisk performance made them a popular choice on the track, and they continue to be an entertaining drive today. If you have a Triumph or another collectible you’d like to insure with us, let us show you how we are more than just another collector vehicle insurance company. We want to protect your passion! Click below for an online quote, or give us a call at 800.678.5173.